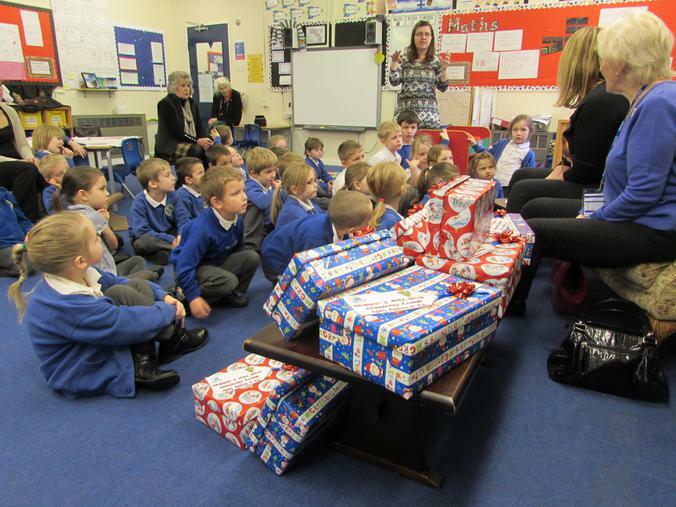 As part of our project we decided as a class to support the local based charity' Not Home Alone at Christmas'. This is a wonderful charity run by Nina, Wendy and their family to support senior citizens who may be living alone. 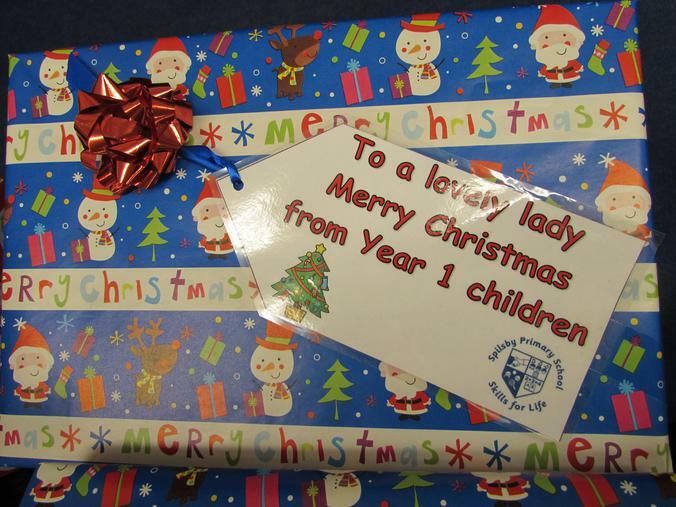 This is especially poignant at Christmas time when we are busy celebrating with our own families. 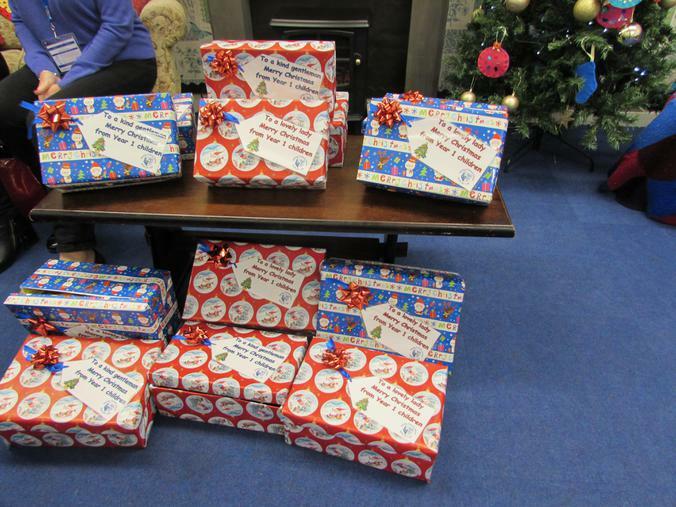 The charity ask for shoe boxes filled with items like puzzle books, gloves, tea, chocolate etc. 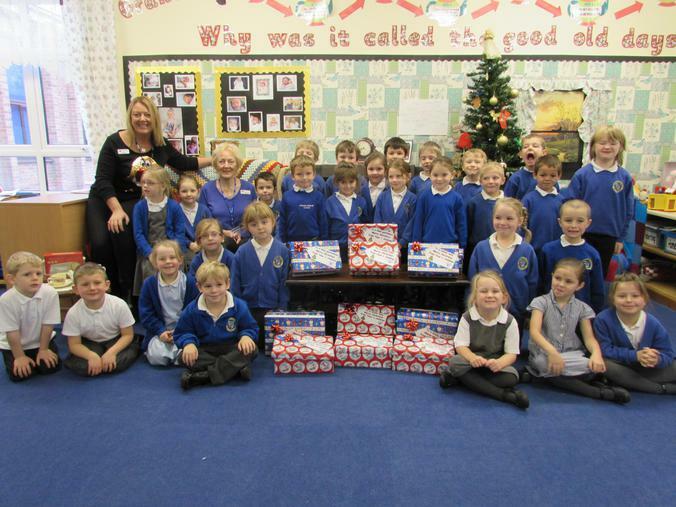 We are very grateful to the donations made by the children and their parents and were able to fill 12 boxes altogether. 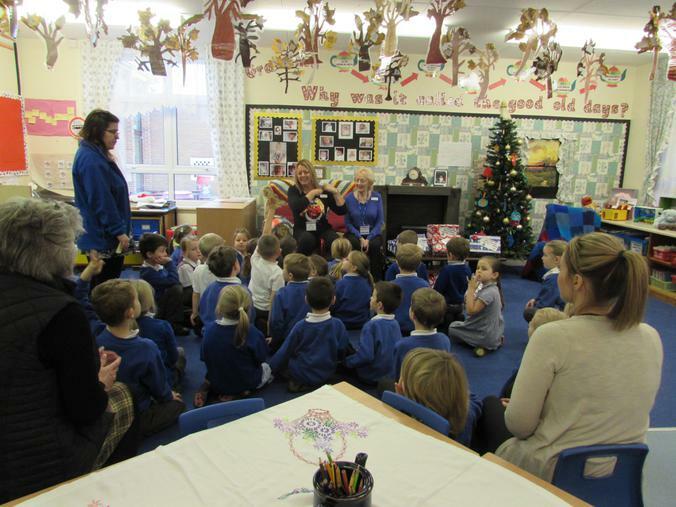 Nina and Wendy visited the children on Friday. 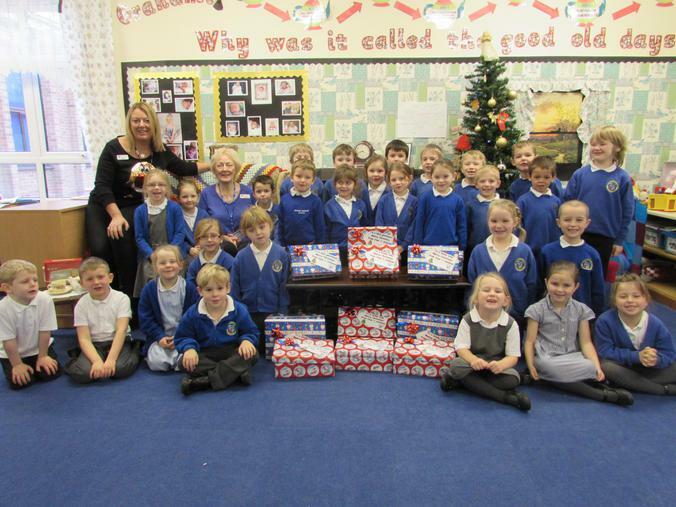 We talked to them about our topic and they explained about their charity and how they help the elderly. They have promised to send us photos of the ladies and gentleman we have helped. As a thank you we received a lovely certificate. 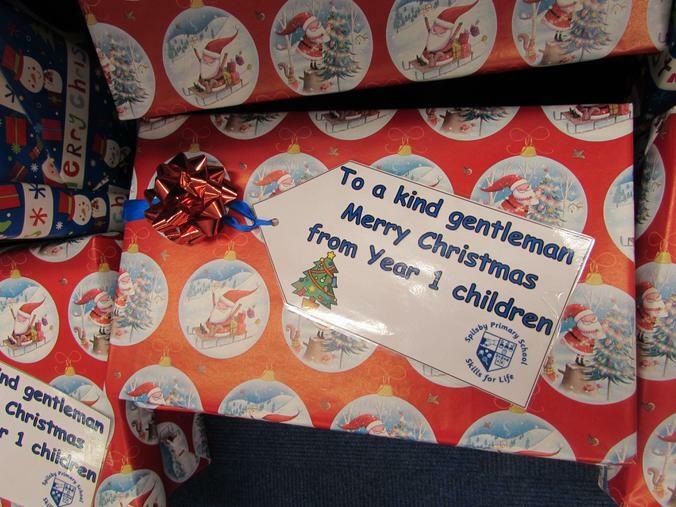 We also received a lovely message thanking us and complimenting the children on their fabulous behaviour. 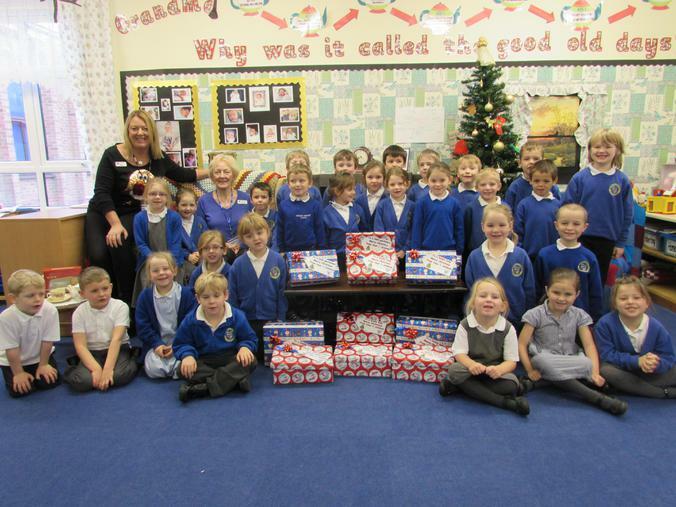 WELL DONE YEAR 1 - YOU SHOULD BE VERY PROUD OF YOURSELVES !!!! !